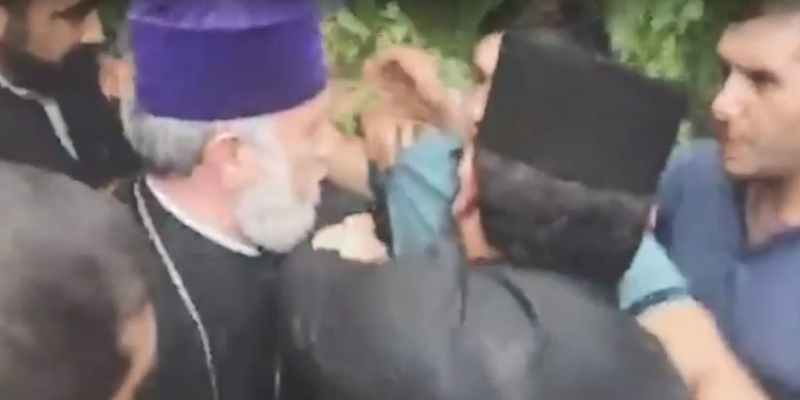 In the recent days, about the situation around the Armenian Apostolic Church, yellow blogs and Facebook’s yellow pages have started dragging LGBT people in their campaigns, claiming they are standing behind the demand for Catholicos’s resignation. The Armenian Apostolic Church and the Republican Party have been targeting and spreading hate towards LGBT people for years to meet their political interests, and continue using the same methods of making LGBT people a scapegoat to collect points in their games. The LGBT community, though not indifferent to what is happening in the country, is involved in various social and political movements, has nothing to do with the church’s in-house kitchen and the resignation of the Catholicos. Therefore, do not involve LGBT people in your business and find strength and ingenuity to solve your problems in a peaceful way without disseminating ridicule and exploiting the LGBT people’s name. In any case, regardless of who will be the spiritual leader of Armenia, regardless of who will be the servants of the Armenian Apostolic Church, we will always continue to condemn the anti-Christian hate propaganda towards LGBT people and other groups.